Join Kelly for the day doing Hoopsisters Sisterhood retreats. 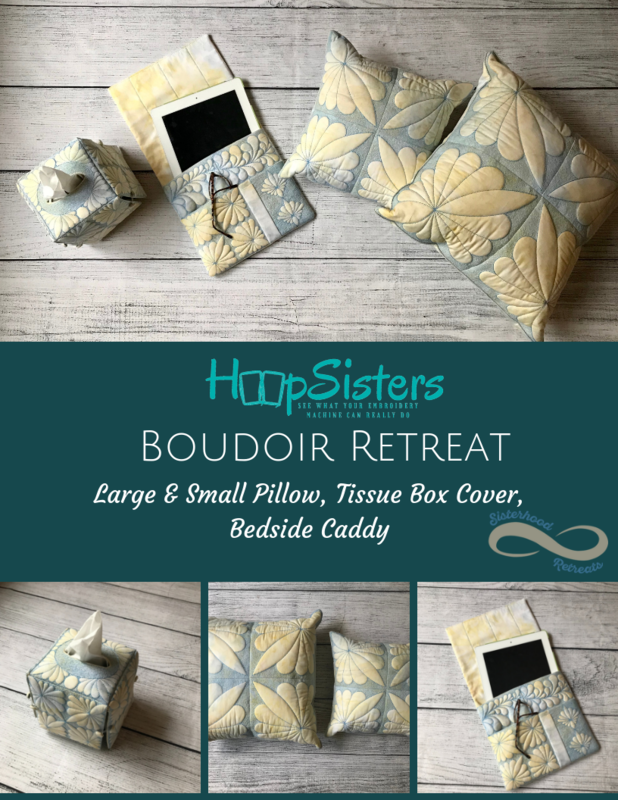 SisterHood Retreats 2nd quarter themes are Elegant Boudoir, Birthday/Celebration,and Summer. Each student will receive all the files from the 3 different collections, each collection has 3 projects! Fabric kit for 1 project from each collection and most supplies PLUS lunch included! Materials Included: Includes All Embroidery Designs for 1st quarter.